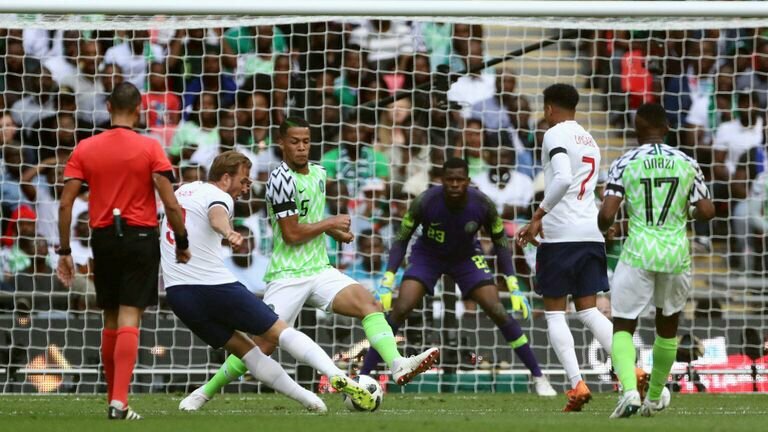 Head coach of the Super Eagles, Gernot Rohr, has explained why his team lost 2-1 to England in an international friendly match played at Wembley on Saturday. Gary Cahill headed the hosts in front from a corner-kick, before Harry Kane made it 2-0 ahead of the half-time. Arsenal’s Alex Iwobi pulled one back for Nigeria in the second half, as Rohr’s men improved greatly after the break. Rohr admitted it was a game of two halves and said he made changes in personnel and formation. The German also admitted that travelling and preparation was not the best. “Clearly it was a game of two halves. I made four changes and change in formation also made a big difference. “Travelling and preparation was not good enough,” he told reporters after the game. Nigeria’s final friendly game before the 2018 World Cup will be against Czech Republic on Wednesday in Vienna, Austria. 0 Response to "England vs Nigeria: Rohr Reveals Why Super Eagles Lost 2-1 At Wembley"